for all its fame, success, power and peace mumbai/mumbaikars often turn to the almighty in temples, churches, mosques and often a combination of all three. the haji ali dargah located on a little islet of the worli coast is popular with the devoted, cutting across religious lines. 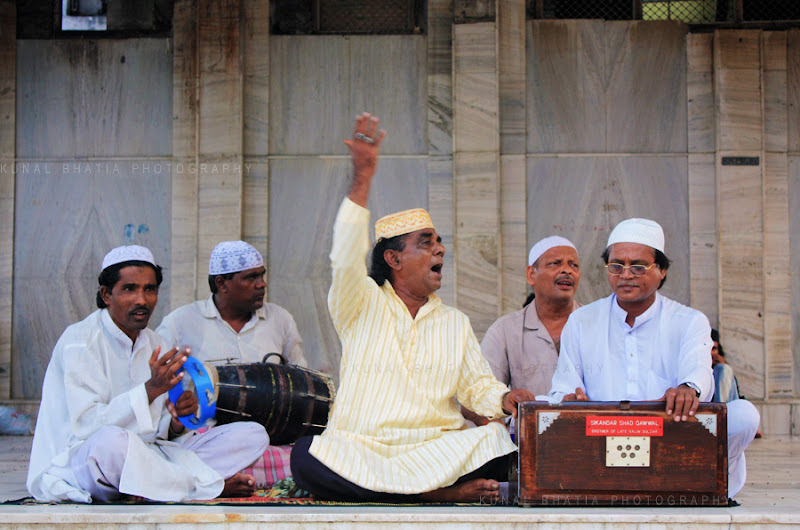 here sufi musicians perform qawali, a devotional form of music. the setting with views of the city skyline, the lapping waves and the soulful renderings make for an engaging performance. i used to listen to qawali songs eventho, i don't have any idea what it's about. ^0^ it somehow eases tension and is relaxing.